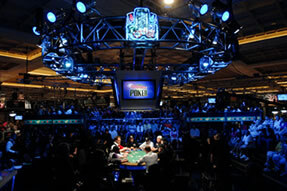 They call them the “November Nine“, the 9 final table participants at the 2008 WSOP. These are the last nine players remaining out of 6,844 runners at the $10,000 No-Limit Hold’em Main Event. These nine players will take a break for almost 4 months before they reconvene in Vegas for the final table at the 2008 World Series of Poker. What is interesting to note is that none of the big name poker pros are present at this final table. 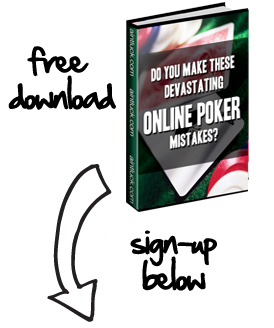 No Phil Hellmuth, Doyle Brunson, Johnny Chan, Daniel Negreanu, or the “mouth” Mike Matusow. Nine virtually unknowns, at least to the general poker community, will compete for their piece of WSOP history and a chance to place their name next to the likes of the legendary poker pros mentioned above. When will the final table air on TV? ESPN will broadcast the final table at the 2008 WSOP on November 10th and 11th shortly after play ends on the respective nights. The final heads up match will air from 9 - 11pm EST on November 11th. Mark that date down in your calendar now! ESPN will broadcast the other main poker events at the WSOP starting on July 22, 2008. The slogan for this year’s events are “Tuesday Night is Poker Night on ESPN“. Every Tuesday night starting on July 22nd, ESPN will air a new episode of the WSOP from 2008. Tune in from 8 - 10 PM EST each Tuesday until September 2nd. Starting on September 2nd, ESPN will start broadcasting the $10,000 No-Limit Main Event. According to our friends over at Wicked Chops Poker, here are the latest odds on who will in this year’s WSOP.